PahaQue, a leader in the camping and tent industry, continues its innovation with the introduction of its Green Mountain 6XD tent at Outdoor Retailer Summer Market in Salt Lake City, August 3-6. It’s the largest of the Green Mountain series, designed to sleep up to eight people comfortably. With the bathtub style floor – introduced by PahaQue with their Pamo Valley tent in 1997 – groundwater stays out and gear stays dry. In addition, the floor, rainfly and sidewall are factory seam-taped for total waterproof performance. With its all-mesh roof, campers can remove the rainfly and enjoy stargazing from inside their tent on clear, warm nights. When unzipped, the outer doors can double as awnings, while the closed no-see-um grade mesh inner doors keep even the smallest bugs out. Awning poles are included, as is a complete set of stakes and adjustable guylines. The spacious Green Mountain 6XD tent is 12′ x 10′ x 6’6″ high, with a floor area of 120 square feet. The tent and fiberglass/steel poles all fit in the included stuff sack and weigh only 27 pounds. For an added layer of comfort and protection, lay a PahaQue Tent Rug across the floor. The Tent Rug provides a moisture barrier on one side and creates a soft, warm and comfortable floor on the other. It’s constructed of heavy duty, stain-resistant polymer rug material with a durable waterproof fabric backing. Available in 5’x7′, 8’x8′, 10’x8′ and 12’x10′ sizes. For more information on the Green Mountain 6XD go tohttp://www.pahaque.com/pq/subcat.asp?cid=691&ret_id=1455119. For Tent Rugs, go to http://www.pahaque.com/pq/subcat.asp?Att1=Rug&Att2=&Att3=&Att4=&Att5=&cid=685&StockStatus=&MfgName=PahaQue&ret_id=1455119. Copyright © 2016, The Dealer Wire. All Rights Reserved. Shade shelters give you shelter from the sun, rain and other elements you might encounter while camping. 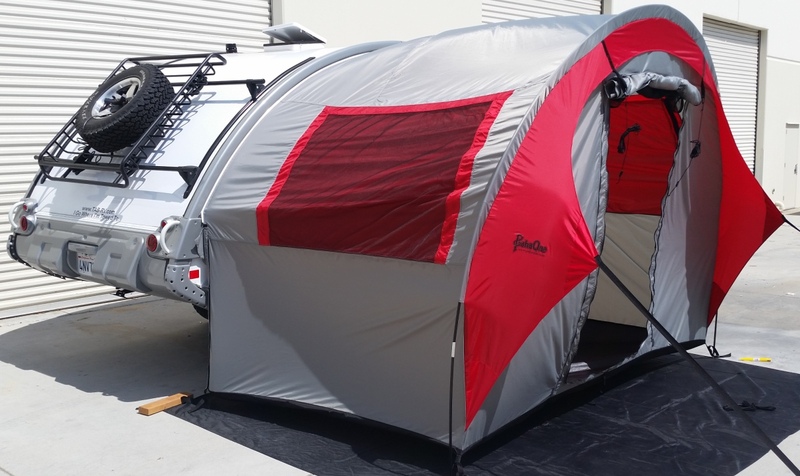 The Cottonwood XLT offers two extendable awnings to give you more protection. The awnings can be easily be extended to give you a larger shelter, lowered to block out either wind or rain, or to provide extra shade. The awnings can simply be rolled up when you don’t need them, or can be attached to a vehicle roof rack or your trailer’s awning track. The shade shelters are made of polyester fiber with1500 mm waterproof coating, to keep everything under it dry. Add the optional sidewalls to enclose three or all four sides. Poles: High performance, 100 per cent aluminum 6061 series alloy, shock-corded. For more information about this awning, go to www.pahaque.com. 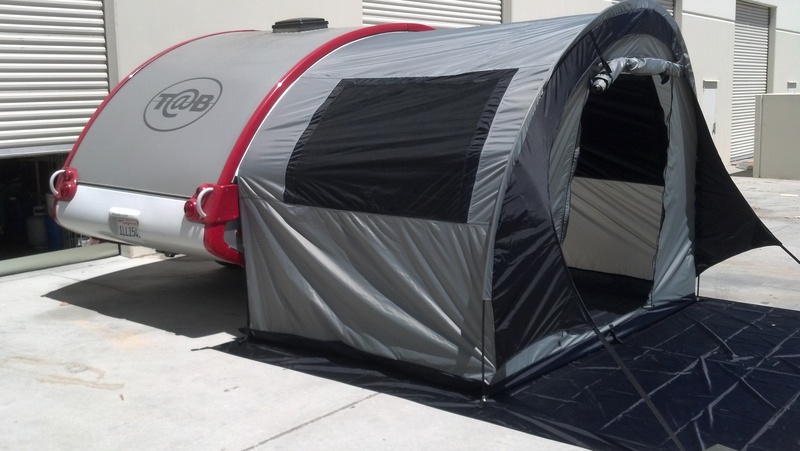 T@B Trailer Tents Now Available For Immediate Delivery! 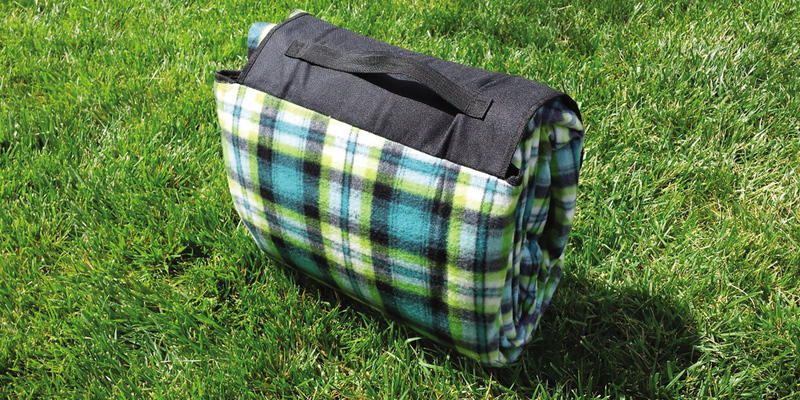 Tent Rug Now Available in 3 New Sizes! PahaQue Tent Rugs are now available in sizes to fit all makes and models of PahaQue tents and shelters. Click here to order yours! With warmer weather now upon us, it is time to make some awesome camping memories! What are your plans to get outdoors this month? If you can’t decide, here are three ideas that just might help get you camping! It really comes down to time and money. Too much of one or too little of the other throws everything off balance. In an ideal world, we would have enough of both to work when we want and play when we want. Even with constraints however, here are three ways to get outdoors on any schedule or budget. 1. BACKCOUNTRY There’s lots of it around, even if you live in a big city. Here in San Diego for example, it is only a 2 hour drive to total isolation in the mountains or deserts. As a kid growing up in Ohio near Cleveland, we always found plenty of State Park land that allowed us to get lost for a day or two. On a budget, tired of crowded campgrounds or long lines? Grab a map and find your nearest State Park, National Forest, or if you live in the west – BLM lands. All offer the opportunity to explore, escape, and get away from crowds. However, if you plan to backcountry camp, you may need extra time for travel and exploring, therefore proper planning is key. Without resources nearby, if you forget something, you will most likely have to do without. 2. 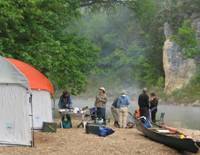 LOCAL CAMPGROUNDS Local areas to camp make sneaking in a quick trip easy on any schedule. With most campgrounds hosting a store, you never need to do without. 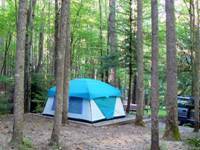 With restroom facilities and other amenities, most campgrounds make camping easy and enjoyable. And many offer activities such as fishing, bike riding, and hiking trails. Check before going to make sure they have vacancy, and to scout out the most preferable sites. Whether it is a County, State, or privately owned campground, YELP is a great place to start checking reviews of the campgrounds nearest you. 3. BACKYARD When backcountry is not an option, and campgrounds are booked, there is always the backyard. This is ideal, especially when there are kids involved. Who says you have to be in the middle of nowhere to enjoy the night sky, or to spend a night sleeping in your tent or camping trailer? As an old boat owner, I always liked to say that the best sailing I ever did was in the dock. Same with camping – sometimes the best place to go is nowhere. Have a longer trip planned for later in the year? This is also a great way to check and test your gear beforehand. Turn off the TV, leave the phone on the kitchen counter, and head out. To your backyard. No reservation required! Thank you for your intere st in our products. We began producing tents designed for car and family campers in 1997, with the express goal of taking all the best features, fabrics, pole materials, and design technologies available and translating them into a large roomy tent design, that can withstand the worst kind of weather. Our premise is that car/family/base campers are not as concerned about weight as a backpacker, and that we carry our tents to our sites in vehicles, not on our backs, generally speaking. So we traded extra weight for roominess and performance. Why our tents are better: Most tents on the market do not have waterproof tent bodies – no sealed seams for example. To make the tent waterproof, a full-coverage rainfly is required. Full coverage rainflies create a ‘bubble’ over your tent that creates humidity, restricts ventilation, eliminates visibility from inside the tent, and makes entry and exit more difficult. So we took a different route – we made our tent bodies – sidewalls, floor, doors and windows – 100% waterproof by using quality fabrics with heavy waterproof coatings, and by tape-sealing 100% of the seams. No painting seams with sealer required – seams are permanently waterproofed. Therefore our rainflies are only partial coverage, which allows excellent ventilation and reduce humidity/condensation, keeps the tent interior cooler on hot days, allows you to open windows/doors on the downwind side even during rainstorms. The doors and the rainflies have awnings that can be used to create extra shade/dry area in nasty weather. Our floors are bathtub style, so even water running under your tent cannot get it. Bottom line, even in heavy rain your will stay completely dry inside our tents, while still having the ability to open a window or easily enter or exit the tent. Our designs are near-vertical walled – so you have plenty of headroom even in the corn ers. In nice weather, our tents open up – with mesh windows, doors, and roof – to provide a very open airy feeling. On dry nights, our mesh roof provides excellent star-gazing. But when the weather gets nasty you can button up and stay completely dry. Our fabrics are heavier than our competition – for example Eureka uses a 4oz floor material, and a 1.6 oz 150T tent fabric on most of their better tents. We use a 6.5oz 210D floor material, and a 1.9oz. 185T tent fabric. All our fabrics have 1500mil waterproof coatings, along with UV inhibitor and fire-retardant coatings. Lastly, we stand behind every product we make with a Lifetime Warranty which covers any and all defects in material and workmanship for the life of the tent. We dont claim to be perfect, but we will do our very best to make sure every PahaQue product performs like brand new, no matter how long you have owned it. PahaQue is not just a name, and although rooted in lore, it is something even more than just the meaning of the words. It is a way of life, or at the very least, a way of looking at life. It is about experiencing and enjoying the great outdoors with family and friends. It is about understanding the history of the land, and it is about the peace and solitude that can only be found in the places less affected by modern humankind. No matter where you live and where you camp, history can be found everywhere. From the Native Americans who once roamed every square foot of this land, to pre-historic animals, and even further back in time, the natural history of our land is all around. But nowhere is it more visible than in nature. To find it however, you must know where to look, and what you are looking for. One easy way to begin to understand the history of the land is to learn about the plant and animals that inhabit the areas in which you camp. Learn how the previous inhabitants found usefulness in everything, and you will learn how a certain type of tree was once critical to a certain tribe’s existence, perhaps for medicinal or spiritual purposes, or how that tree may have aided in the existence of certain bird or other plant species. Aside from living examples of history, another way to understand the history of the land is to find more tangible relics. Arrowheads usually come to mind first. Almost anyone who has ever camped has found an arrowhead or knows someone who has. Learning more about arrowhead types specific to your favorite camping area can provide much information about what types of game were hunted, how they were hunted, and even the time period of their use. Cave drawings or other forms of pictographs are another exciting example of tangible evidence left by pre-historic inhabitants, thus providing yet another excellent learning opportunity. Historic structures from our forefathers, particularly when preserved as a museum, provide still another source of information about the land, from yet another group of previous inhabitants who struggled to carve out an existence in a once harsh land. Whether you camp in campgrounds or backcountry wilderness, the opportunities to learn more, and therefore further your appreciation of the land and its history, are all around you. It may be just a short hike, or a day trip away from camp, but seeking out opportunities to learn more about the natural history of the area you camp in is not only a great experience for kids and adults alike, but it also makes for great after dinner conversation around the camp fire. Kids especially seem fascinated with the tales of frontier life and struggles, of Indian fights, of the trappers, hunters and other pioneer frontier folk that settled the land. The stories come to life even more when they happened in the vicinity of your camp. At night it is easy to imagine yourself in another time, and history makes great material for fire-side stories. And perhaps with this understanding of natural history comes a deeper appreciation of the outdoors. This is just one aspect of the meaning of PahaQue – the camping lifestyle. Whatever you choose to call it, it all adds up to one thing – WE LOVE CAMPING! It’s our way of life. Hope to see you ’round the campfire soon!